What is strip lighting exactly? LED Strip lighting, also known as ribbon lighting, is a flexible circuit board populated by surface mounted light-emitting diodes (SMD LEDs) and other components that usually comes with an adhesive backing. 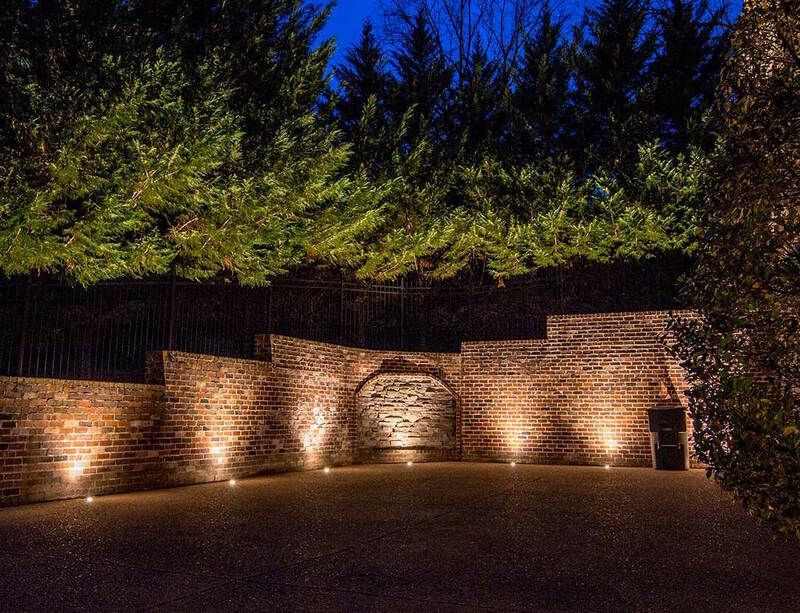 There are varying degrees of quality, but the best, commercial grade ones are rated for outdoor use and offer a clean, continuous line of lighting that gives a sleek modern look. The uses for strip lighting are almost endless. 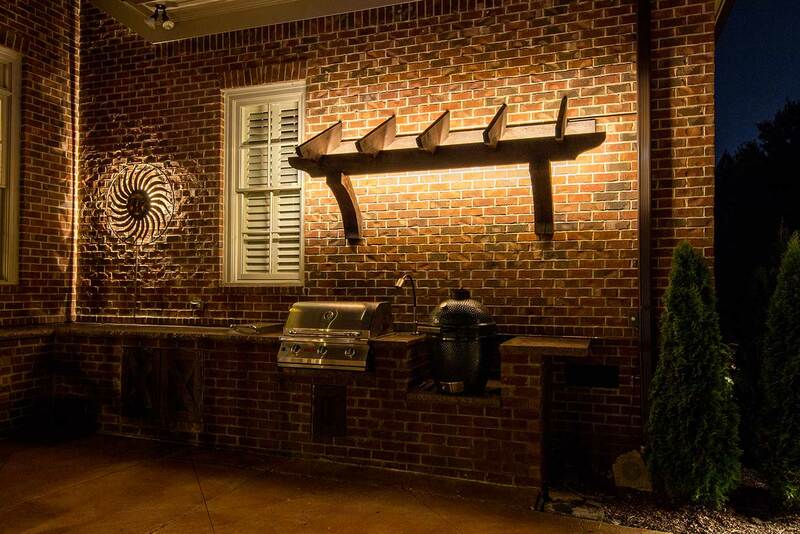 They're perfect behind architectural accent pieces, as showcased above with the address numbers illuminated from behind, but they are also perfect for outdoor kitchen and bar areas, as shown in the photo below at one of our client's homes in Brentwood, TN. These LED strip lights are easily tied directly into your existing low-voltage lighting system and don't rely on cheap mini transformers for control; they're even dimmable! 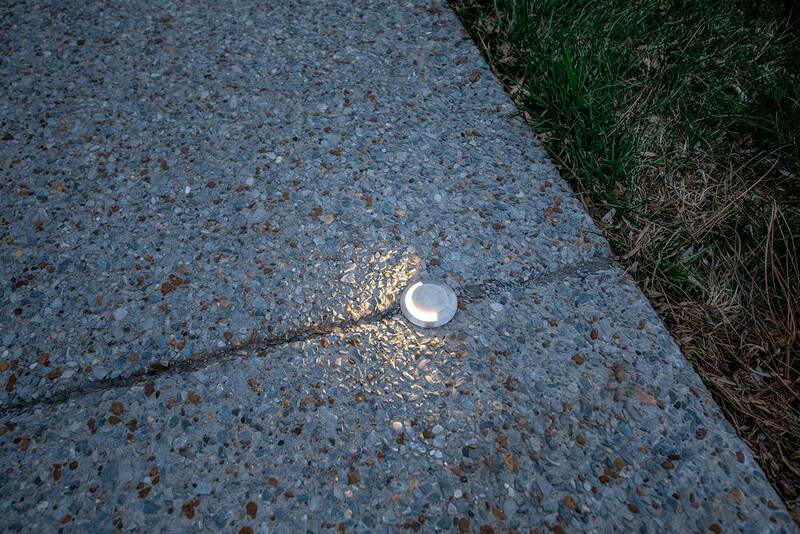 Quality of light is obviously an important consideration in any new lighting fixture. 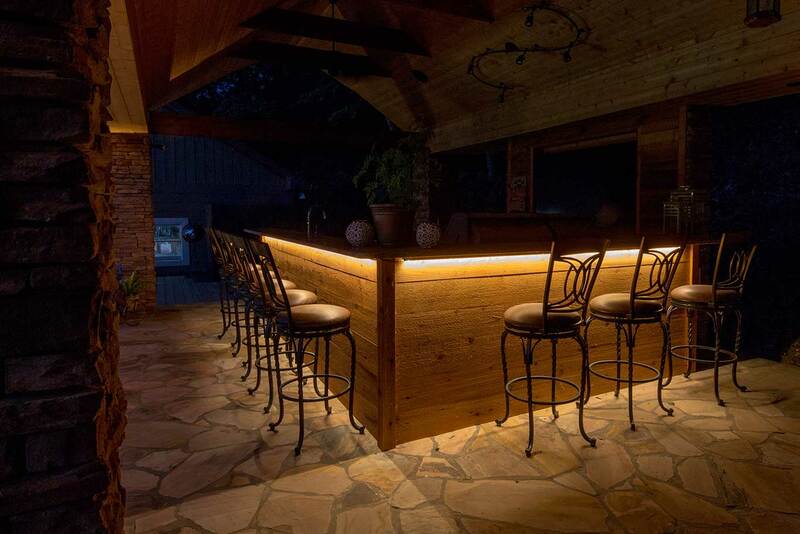 These LED strip lights not only have a clear, weather proof exterior, but the light hue rates at 2700K on the Kelvin color temperature scale, giving off a soft, warm light that exudes comfort. 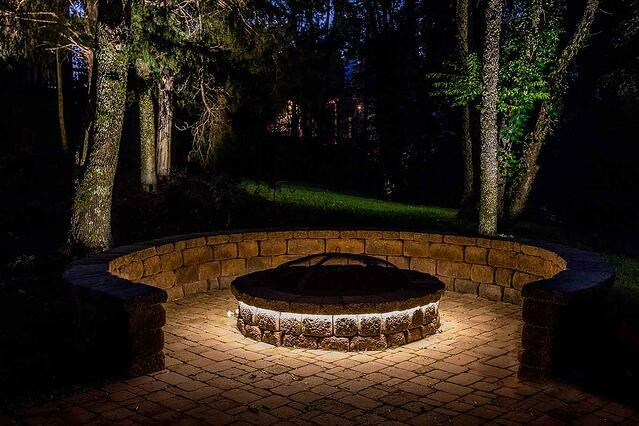 It's easy to see why this is one of the best new trends in outdoor lighting. 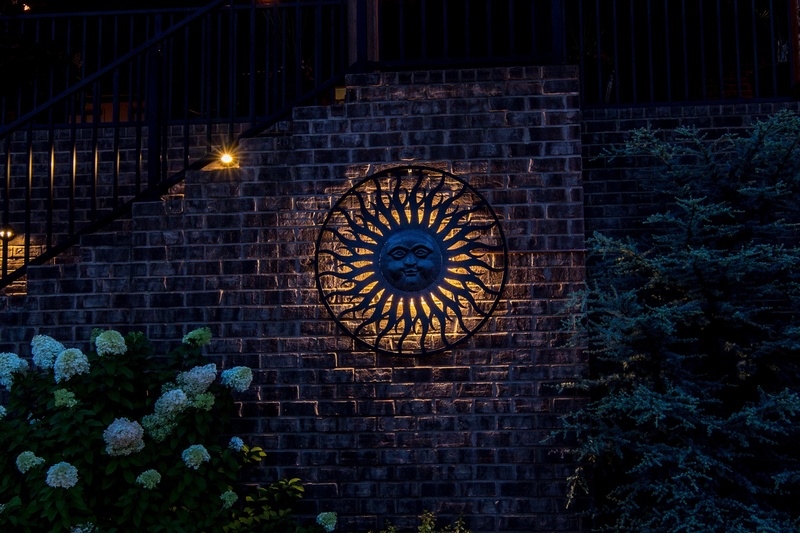 Design is one of the most important parts of an outdoor lighting system, and these add the right accents in the right places of your home and property. It's a distinct and different way to add a touch of your unique personality into your home.